If you’re searching for a the right backpack for your upcoming hike or trek, then it’s good to know which ones have been rated the highest. 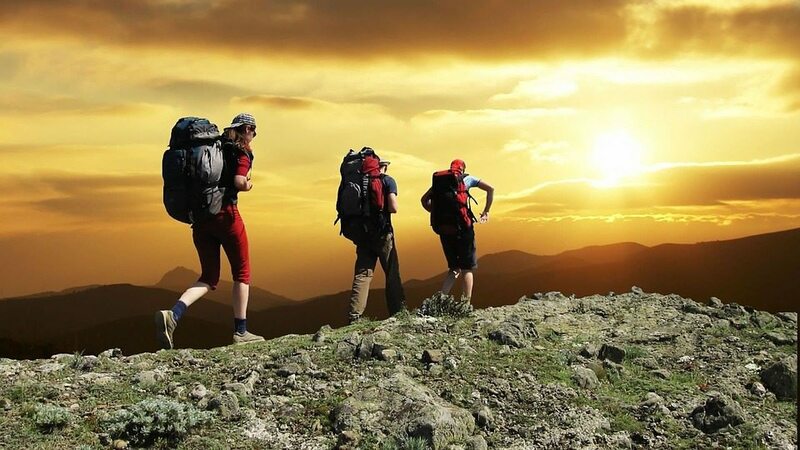 Though you can get any backpack as long as it fits your hiking needs, you want to also have one that will be reliable once you’re in the outdoors. You also want one that can last you a long time, since you of course will be hiking with it every chance you get! Before making your commitment, read up on the best backpacks of 2016. For a long weekend hike, look no further than the Deuter Rise Tour 45+ as your backpack. At 45 L, you can fit a lot inside, but the “45+” means you can stretch it even further for the winter season. Once you’ve filled up the interior, there’s even more space on the outside. The brain and zippered side pockets can hold your everyday gear, so you don’t have to fumble around every time you need your sunscreen or trekking poles. The best part? This baby comes at an unbeatable price, which definitely makes it one of the best backpacks you’ll find. If you’re planning on spending a lot longer than just a weekend in the outdoors, then you’ll want to consider the Arc’teryx Altra. This is a versatile bag, as you can adjust all the straps and the bag itself to give you the space you need. It comes in 65 L, 75L, and 85L sizes. It has a double chamber top lid and a front kangaroo pocket for easy gear access, an external hydration sleeve, and the back panel sits away from your back to give you more comfort and breathability. If you require a larger bag, this one undeniably provides the most comfort. Zpacks are known for making all kinds of gear catered towards ultralight backpackers. If you are making a long trek and can’t be bothered by a heavy bag, then the Zpacks Arc Blast is one of the best backpacks for lightweight hiking. The bag weighs almost nothing at a little over a pound, yet comes in 45 L, 52 L, and 60 L, so you can carry a lot of gear. Because of the cuben fiber it’s made with and the curve of the frame, this bag provides great ventilation between your back and the bag. The mesh pocket on the front is great for storing your tent and sleeping bag. Osprey is one of the most reliable brands when it comes to backpacks. The Osprey Atmos/Aura in particular is an award winning bag It gets the high rating from its unique suspension system, which allows for ventilation as it aligns to the contour of your body. It comes in sizes for both men and women. There’s a pocket on the top and the front for easy gear access, as well as attachments for trekking poles and winter gear. The Osprey Flapjacket provides great weather protection. You can’t go wrong with this bag. If you’re going on a day trip, there’s no need to bring your large bag meant for thru-hikes. Leave the giant one at home and get The North Face Snomad 34 for your hike. This bag is the winner of the Outside Gear of the Year award, and it’s no question why. Though it might be a while before you use this winter bag, you score it before it’s too late! This bag has many compartments to organize your gear well, and a supportive frame with clever attachments so you can carry whatever you need for your snowy excursion. Gregory and Goal Zero have teamed up to give you an incredible bag that’s hard to find anywhere elsewhere. You may have already seen this bag talked about on innovative gear websites, but now it’s ready for you to buy it up for this year’s hiking season. The Gregory Baltoro 75 GZ is the only bag that comes with solar panels, to charge up everything that’s inside. In addition to this awesome feature, you’ll also get a sleeping bag compartment, removable day pack, zippered gear pockets, a rain cover, and an all around great bag for long hikes. Okay, so it’s not a specific bag, but that’s exactly why Zimmerbuilt is the perfect choice for the best backpacks this year. This company, or man rather, makes custom bags that are just for you. While you can choose from the ones that have already been made for previous customers, you can also opt to have him design a new one to your liking. Seriously…choose the volume, material, the amount of pockets, and anything else to get your perfect bag! Before you buy just any bag for this year’s hiking season, take a look at these!